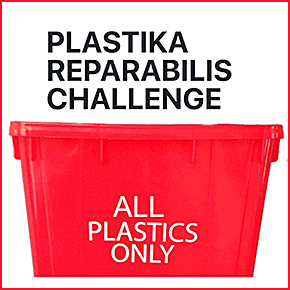 The PLASTIKA REPARABILIS CHALLENGE' breakthrough is to boost the recovery of plastic waste, increase the value of plastic scrap, and optimize resource re-utilization in the global supply chain. What are the positive transformations that come from this Challenge? Local Solutions Globally. The connection of local solutions on a global scale to create -PPaaS- Plastic Packaging as a Service. "Glocal" solutions for the entire plastic supply chain to work collectively and collaboratively to turn-off the tap on plastic pollution of earth and ocean.